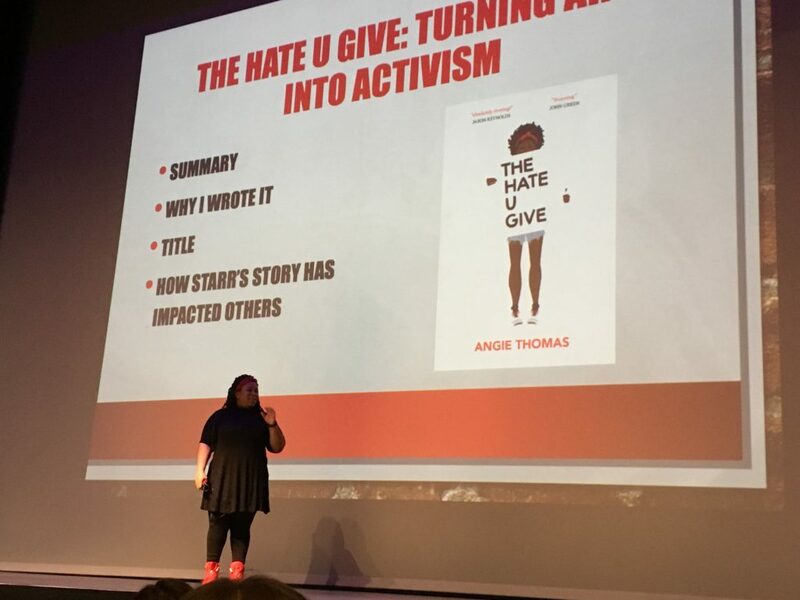 MANHATTAN — Angie Thomas, author of “The Hate U Give” hosted a lecture Thursday evening at McCain Auditorium. Thomas’ talk centered around making politics personal. It was co-sponsored by the Kansas State Book Network, or KSBN, the Diversity Programming Committee and the English department’s student honorary society, Sigma Tau Delta, among others. K-State architecture student and student senator Camila Rivera spoke with KMAN about her biggest take away. Microbiology student Megan Campbell says she learned that it’s good to notice and celebrate differences. Student Lauren Ewing says she liked Thomas’ message that power is truly found within. K-State Libraries Associate Professor and K-State Book Network leader Tara Coleman says they had a lot to consider when they chose “The Hate U Give” as their book for 2019. Because police brutality is a heavy topic in the book, Coleman said the local police department was high on that list. The students all agreed it was important for Thomas to visit Kansas State University and speak to students and the community about using their unique voice.